Just a couple weeks ago, Google added some features to their mobile search page to make it easier to find places nearby. Now, more buttons are being added to make it easier to use the different search functions for images, places, news, etc. Google's design philosophy has always been one of minimalism. To this day, the Google search page is not much more than a few links at the top and the search box, no ads, just a plain white background. For a while, it was the same on the mobile version of the Google search page, but it seems that Google is learning that the way people search is different on mobile, and clutter may be the way to make it better. Google already added buttons to make it easier to find places near you, and now there are big buttons to make mobile search easier. Now, at the top of the search page, rather than just text links to images, news, etc. there are buttons to make it easier to tap and get what you need. 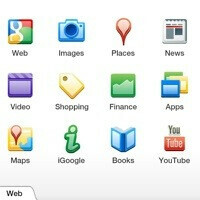 And, under the "More' tab are options to search video, maps, shopping, finance, apps, iGoogle, Books and YouTube. 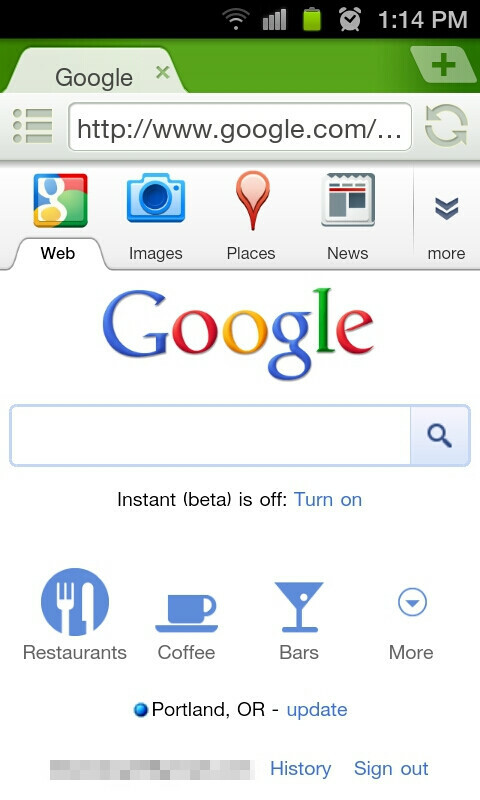 The new buttons should appear when you go to Google in your mobile browser. And, since they don't need to pull location data like the Places buttons, these changes should be on all devices.